Want an amazing piece of heaven with all of the lake home bells and whistles? 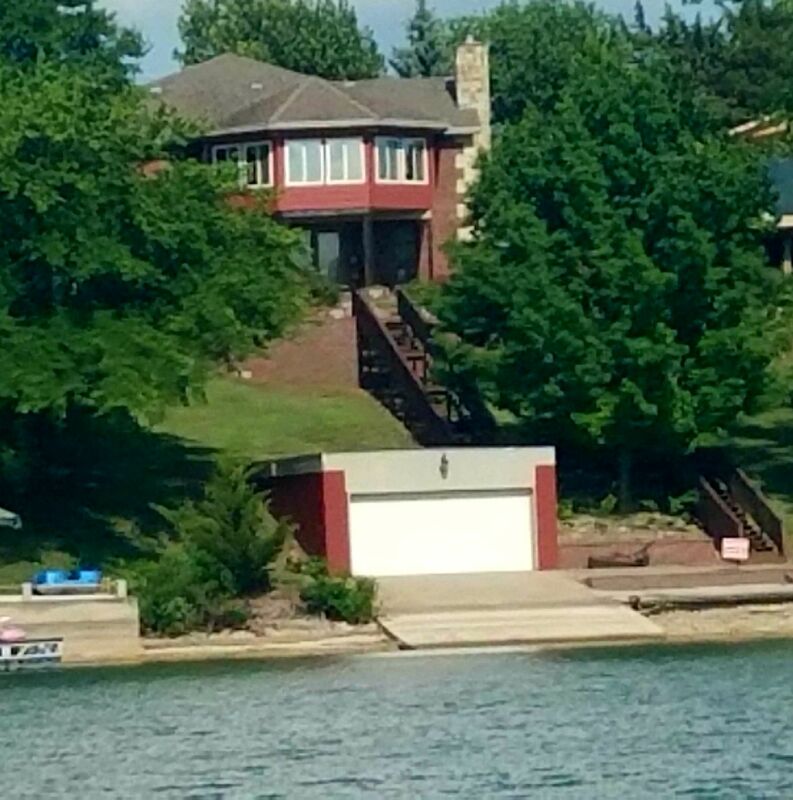 Deep water, huge boat house, U- shaped dock, and a spectacular view are all included in this beautiful custom built home. This beautiful brick home was built by a custom cabinet maker and his craftsmanship shows throughout the home. The property features a huge open area through the center of the home with a circular family room with windows giving the owner a million dollar view of the lake! Three bedrooms including a master suite featuring a walk-in closet, a laundry room, kitchen, and dining area/living room are on the main floor. In the basement, a large family room and two bedrooms gives the buyer extra room for family and friends to visit. The concrete lake front patio leads to a concrete boathouse large enough for boats, jet skis, and all of your boat toys. A one car attached garage and an insulated shop building with a propane furnace. Give us a call to see this beautiful home!